Heirloom Audio is back with their 4th release in the series, The Extraordinary Adventures of G.A. Henty. 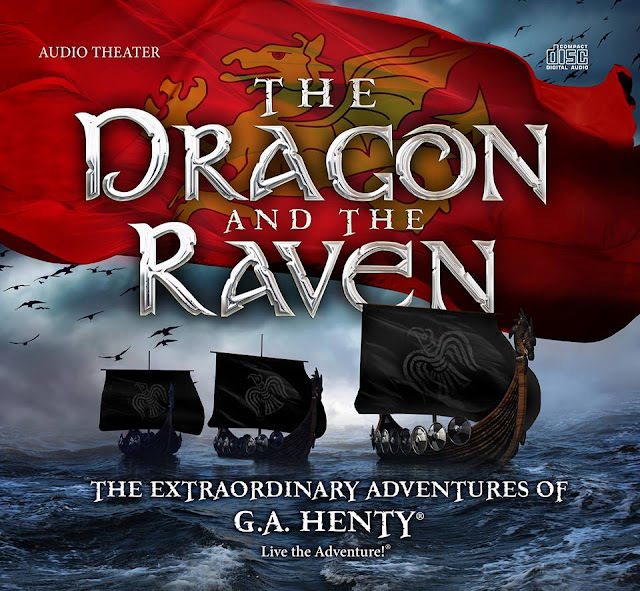 This audio drama is called "The Dragon And The Raven" and we are so excited to share our thoughts and reactions to this production. Also in this episode, Roy delivers another exciting newscast, we share an update on the upcoming Adventures in Odyssey trivia segment that is coming to the show and we respond to feedback from Jaxon and Victor. Heirloom Audio announces their next G.A. Henty audio drama. The Jonathan Park team shares an update on the series. The Audio Drama Alliance launches a website. Purchase your copy of The Dragon And The Raven! What should we name the ATC Odyssey Trivia Segment? Email your suggestions to feedback@audiotheatrecentral.com and if we choose yours we'll send you a copy of the 25th Birthday Edition of the Official AIO Guide! What are your thoughts on "The Dragon And The Raven"? Share your feedback! We love to hear what you think!